Well we have now been in Cascais for over a week and due to some favourable wind forecasted for tomorrow and the fact that we have experienced every cafe in town we need to leave. 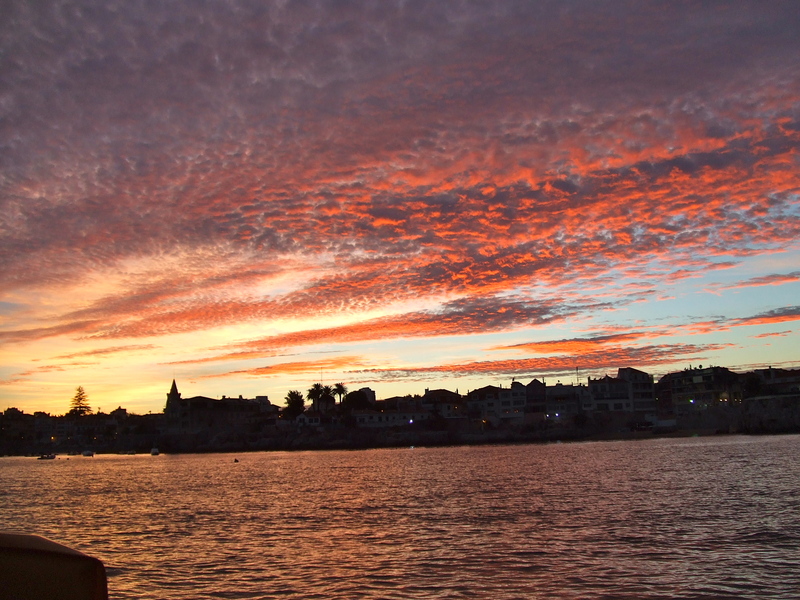 We spent two days in Cascais marina as the prices dropped as of the 01st October so we only paid 15 euros per night including VAT. Cascais Marina also throw in a free bottle of wine when you arrive. We used these days in the marina to update and fix some bits on Troskala. She now has LED lighting throughout the inside as a week at anchor showed that we could not use our lights as much as was needed due to the consumption. We purchased 9 LED bulbs that cost 11 euros each; much cheaper than in the UK. We also renewed our SSR number that had expired and fixed Troskala’s name to life buoy as this is a requirement for the ARC. 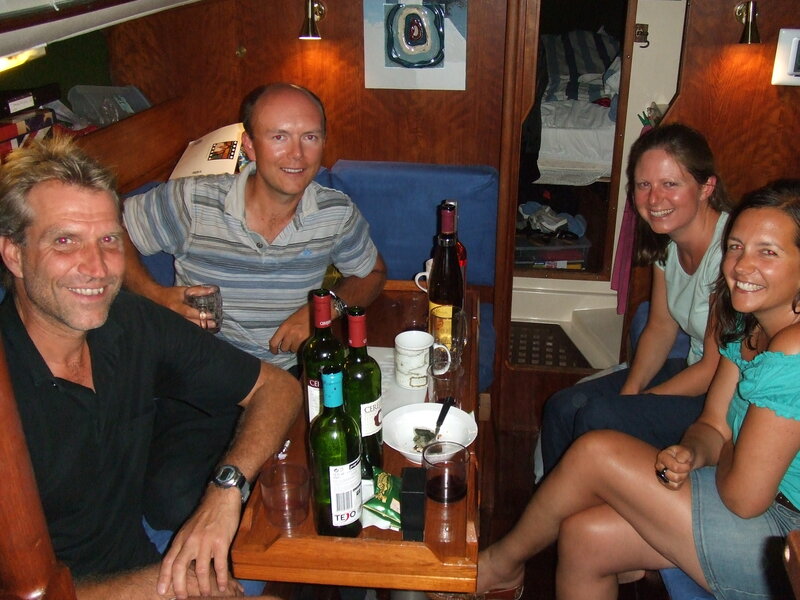 We met some great people in the Marina and a few over for drinks on one of the nights but we also enjoyed freshly caught Tuna aboard ‘Yacht Blood Shot’ one night and drinks with other boats during our stay; it is a great community. I do not know where the week has gone, and we never managed to take a train into Lisbon but we do feel relaxed and ready for the next voyage. There has been some debate on where we wanted to go next, whether it be Morocco or Madeira but last night we came up with the decision to head to Porto Santo in Madeira, a sail of 450 miles and 4 / 5 days. The wind will be blowing a nice 20 / 25 knots Northerly for the next 5 days so it should be a great passage for the two of us. So, my next log will come from Madeira in the next 4/5 days. Well you and Troskala seem to be having a great time! I’m envious as we never made it to Maderia, and it does sound nice. Weather here wet and miserable today, so enjoy it! your website and the blog are great, but your ‘where are we?’ link thinks you are in Mauritania!! Any way, best wishes for the trip, hope the northerly wind sends you where you want to be. It is lovely to hear from you and I am glad to hear you are well although it is a shame about the weather. Have you managed to do much sailing? Yes, we leave early tomorrow so having a last beer and will be sure to update the blog with lots of photos when we arrive. There is always space if you want to join us for a week or two so please feel free to give us a shout. All the best and thanks for the update on the ‘where are we blog’, we certainly have not travelled that far. All the best and safe sailing. Finally nailed your blog – we are now followers and look forward to hearing of your safe arrival in Maderia! Sounds like ideallic life – as I sit on board in hard frosty conditions tied to the plank with the heaters going full blast!! We spent early evening in CYC and started talking to a couple of Rival owners – and I mentioned your names and bingo – here we are on your blog. Small world but you have clearly made an impact! I am very envious of your journey and now look forward to follwoing you. 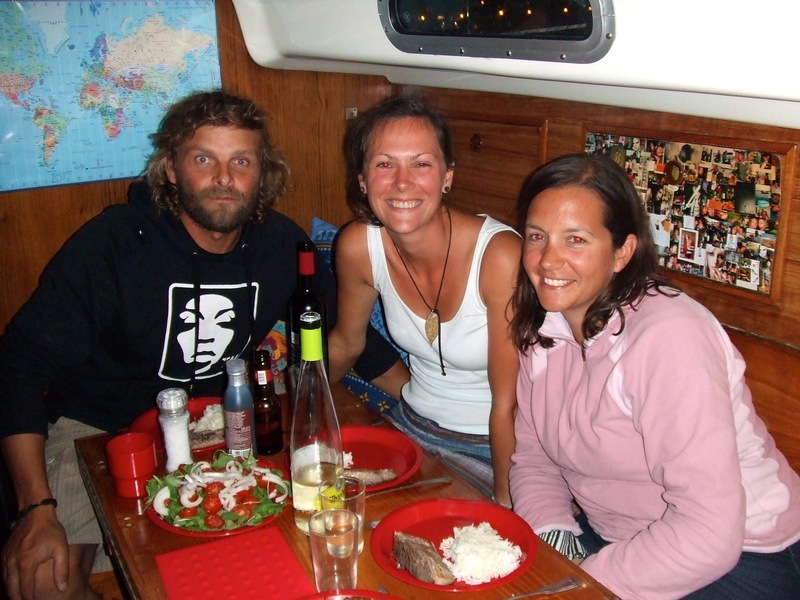 Paul & Jan – On board Nourishment! Hello Paul and Jan. It is lovely to here from you both. Mark Easton told me he met you both and what a lovely couple you are. Sorry to hear about the weather. It is blowing a nice force 10 here so I hope this makes you feel better. Please send our regards to Jan, I hope she is well. We are leaving Porto Santo on Thursday and heading to the Canaries. We have some electrical issues to sort. It is typical that the one job we did not get fixed is letting us down but no more further issues and Troskala is holding up well after over 2000 miles. Anyway, stay in touch and we hope you enjoy your winter and that it is not too cold. I have been counting the months for years – trouble is the months still get counted by the dozen!! Never mind – I will get there one day. I have managed about 1250 n. miles this year so you will multiply that by a significant factor I am sure the rate your travelling at. 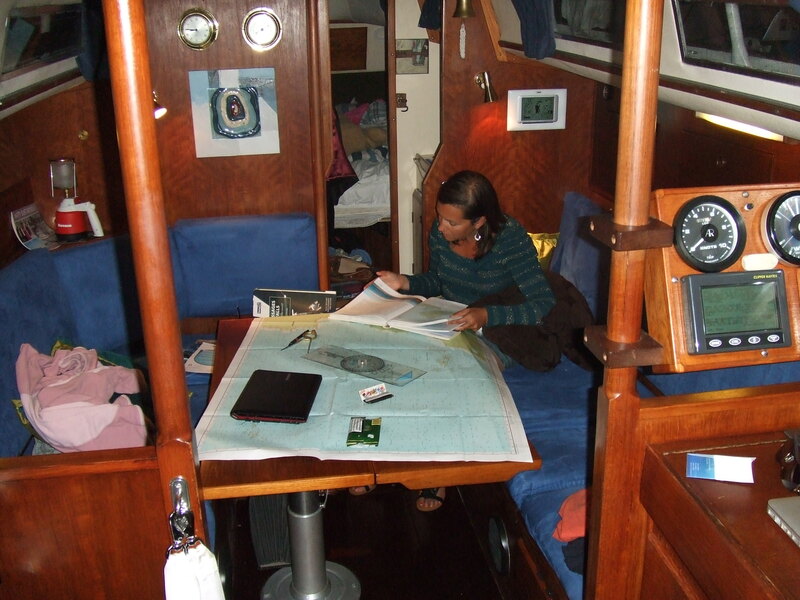 Your blog is great – sorry to hear the passage to Porto Santo was not as qucik as you wanted but hey – oh to have the time. Didnt know the surname of Mark and I think his wife is Helen?? Anyway – got to get on with the work – looking forward to following your journey or is that oddessy? MAybe one day we will get to come and join you at some place! We are dreaming – you are sailing!! Hello Paul & Jan. Did you receive my last message? Having a few connection issues so wanted to check. Hi Both. Got your e-mail today so looks like all connected now – must be a long lead!! Trust you are both well and looking forward to following your journey. Gotta go – just off out for Sunday dinner at friends!